Okay, so lets start this tag with a confession. Ready? I’ve only seen How to Train Your Dragon once. The first movie only, none of the shows or follow ups. And it was okay, cute enough, but it wasn’t up there on my favorites list. My daughter, Baby Chick, she actually really loves this one so I decided we’re going to share it. I’ll be answering some, and she’ll be answering too. She loves this entire franchise and was explaining all the characters to me, so it only made sense. 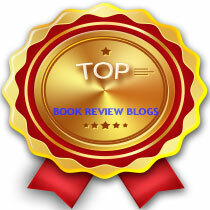 First, before we get started, I’d like to thank Ava at Reads, Rhythms, and Ruminations for tagging me (us). You know we always appreciate every tag you send our way. Any and all who read this, pop in and visit her wonderful blog! Link back to the original post and mention the creator (Jessica @ Pore Over the Pages). Hiccup started out as a failure to his people. He wasn’t adept at dragon killing. Suddenly, he knows the ins and outs of the creatures he is supposed to despise. He becomes popular, and in turn he tries to use his fame to create an alliance between the humans and the dragons. In the end, he changes the minds and hearts of everyone in Berk. Birdie Bookworm: Magic Bites, the first Kate Daniels book. I picked up and tried to read the first chapter, but then put it down. Now it’s one of my favorite series. Astrid is the fierce female viking. She is strong and smart, the perfect contender to be a dragon killer. She is suspicious of Hiccup and eventually discovers his secret. Once she sees the beauty in and of the dragons, she is usually by Hiccup’s side. She stands for her beliefs and helps her friend to the very end. Baby Chick: I pick Throne of Glass. First of all it’s about a famous female assassin, and what female character is stronger than that? Stoick the Vast. He is the leader of the vikings of Berk. He is strong, determined, and caring. He can be thoughtless, but he does feel responsible for his people. He loves his family. After a while, he sees reason and recognizes his son’s greatness. He is a proud man, but he is even more proud of his son in the end. 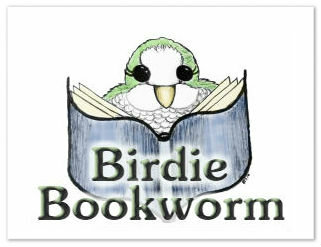 Birdie Bookworm: This one is easy. Harry Potter and JK Rowling. It was the series that made reading popular again. It was so amazing, seeing kids reading after being the only one for so long. Valka goes out on her own to live with the dragons. She knows untold secrets and comes out of nowhere in the second movie. She sees the world in a different light, like her son. Nowadays, most books are a part of a series. Authors have a hard time containing their words and creative worlds = lucky us! Birdie Bookworm: So many, but I’m going to go with Storm and Silence by Robert Thier. It has an epic romance, an exciting adventure, and it’s hilarious! Triple threat. Gobber is loyal and funny. He is a teacher, friend, blacksmith, and so much more. He supports Stoick and Valka, Hiccup, and all others. “He’s a bit gruff, but his heart is always in the right place.” (credit) If you were Gobber, which book characters would you ship? Baby Chick: Simon and Blue from Simon vs The Homo Sapiens Agenda. Against all odds they were able to find each other and be happy. Snotlout is impulsive. He speaks his mind and does what he wants. He is rude and also flirty. If he was a book lover, I’m sure he would buy a book because of an enticing cover, intriguing synopsis, or just because he can. Is there a book that you bought simply because? Birdie Bookworm: I recently bought Caraval on impulse. The hardcover is so gorgeous, I couldn’t resist it. Now I’m worried that it’ll be a hype thing and I won’t really like it. I hate when that happens. Family and friends are the most important aspect in one’s life. Sometimes the representations in books are optimal (while other times the representation is non-existent). Books can contain perfect, desirable relationships that we all want to be a part of, so choose a book with a family or friend bond that you wish were real in your own life. Birdie & Baby Chick: We both say Six of Crows! This group acts like they aren’t friends, but you know that inside they all secretly care about each other. We’d love to be a Crow. Fishlegs is intelligent. He knows dragons by the book, and by the book only. He inspires knowledge in himself and in others. As with Fishlegs, sometimes books make one want to learn something new, research a new topic, try a new experience, or go somewhere exciting. Name a book that makes you want to expand you horizons. Baby Chick: Reading Tiger’s Curse made me want to learn more about India. It was full of Indian culture and lore. That was really beautiful. Toothless is a Night Fury. He is the only one left of his kind, making him extremely rare. He is loyal, fast, intelligent, and cute. Find the bookish equivalent to Toothless, a novel that is not read too often/under-hyped that you adore. Birdie Bookworm: I requested Living with the Fall randomly from NetGalley. I had no idea what I was getting, so I was plenty surprised when it was actually really good! I’m sad that it didn’t catch on. More people should read it. Those in the Boulder Class are solid and resilient. Meatlug in particular is tough, obstinate, slow, and lazy. Sometimes it is hard to pick up the motivation one needs to complete a task. Other times, there are bumps in the road, rocky obstacles that get in one’s way. Despite the struggle, we have to rise about the challenge and persevere. Birdie Bookworm: Alex and Darla from Ashfall. Honestly, I may not have thought of this one if I hadn’t recently seen Ashen Winter on a blog recently, but I really love this series. Not much is known about the Mystery Class, hence the name. Dragons in this class are cunning and stealthy making them feared above the others. Barf and Belch are a part of this conundrum. While they share one body, each head has it’s own personality. To be effective they must work together. Baby Chick: I Hunt Killers was all about Jazz used his lessons from his father to catch the serial killer. The book was definitely a mystery book, with a little horror. “Sharp Class dragons are vain and prideful, and they all possess sharp body parts.” (credit) These dragons are sleek and shine, honor and self-respect. They are beautiful and graceful with their pointed limbs and they know it. Birdie Bookworm: The Sea of Tranquility, Drew Leighton is a very vain character. Very vain, but adorably so. I actually loved his cocky self. Stoker dragons are small and unruly. They can literally set themselves on fire making them hotheaded. This class is an explosion in a tiny package. Find a book that is small, in physical size or page number, that is full of action, mystery, or willful characters. Baby Chick: A small book that packed a punch, that sounds like A Monster Calls. It was so sad, and the images were beautiful. Rare, powerful, inflexible, and loyal. These are some of the descriptor words for a dragon in the Strike Class. More prominent traits of the Strike Class also include blazing speed, cleverness, strength, and navigation. They are very rare, but very mighty. They are like a wild mustang horse: hard to train but loyal in the end. Baby Chick: I read Simon vs The Homo Sapiens Agenda in one day. It’s the fastest I’ve ever read a book. It’s my favorite. As the title suggests, Tidal dragons are associated with water, specifically the ocean. Those in this class are usually larger than most other classes. Water can be soothing, but not with dragons. For most book lovers, we enjoy a relaxing read near the water (as long as your book doesn’t get wet). For dragons, find a book that matches their habitat in setting. Baby Chick: In Tiger’s Voyage they’re on a ship in the ocean, and at one point they have to actually go to the bottom of the ocean. None, I actually just buy my books from Amazon and I can usually find them used pretty easy. There is a lack of knowledge about these dragons, so they have not yet been classified. They could be sorted in the future, but until then they are stuck in the shadows of information. Like debut authors and their books, they are new and haven’t had quite as much publicity and appearances in the book world to be fully understood. Birdie Bookworm: Cale Dietrich, and Love Interest. I’ve said it a million times, and I’ll shout it from the rooftops. I’m so excited for this read! Dragons don’t like smoked eel of lunch. They flinch and cower from the striped delicacy. Like the eel, there are some books that people just won’t touch. It could be because of a passionately harsh fandom or because you don’t want the next book to ruin your experience with the previous. There are many reasons not to read a certain book, and while people will try to persuade you to pick it up, it is your choice to decide what you will read. I’m feeling lazy, so if you like How to Train Your Dragon feel free to tag yourself and link back here so I can come read your posts! Thanks for reading! I didn’t even know there were books! Haha, that shows how disconnected from this franchise I am. Definitely let me know when you post it so I can come and read. 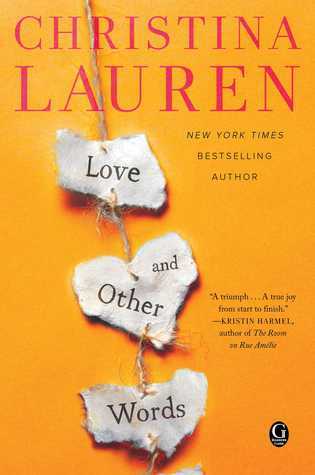 Love, love, love this book tag! ❤ You've hit the nail on the head with your choices. You're right about 'A Monster Calls'. It may be small – it took me less than a day to read – but man, does it pack a punch! It's a book that has stayed with me in the months following. I may have completely turned her off of Twilight with all my verbal rants, hahaha. I think she’s inherited my deep frustration with all things Bella and Edward. It’s an understandable frustration, though 😛 It’s been years since I read the books, but I remember thinking – even then – that their relationship was kinda creepy! A guy who sneaks into your room to watch you sleeping is not a guy you want to be in a relationship with. The only sane, likable character in that entire series is Charlie! Seems fair enough to me haha. I have heard nothing but raves and still cannot bring myself to read them. I am an Anne Rice fan so I could not get past the completely different approach. I’ve never read Anne Rice, but the lack of vampirism in a vampire novel rubs me the wrong way, haha.